Tyrannosaurus Ranch: The Year's Best Military & Adventure SF, Volume 4 Out Now! 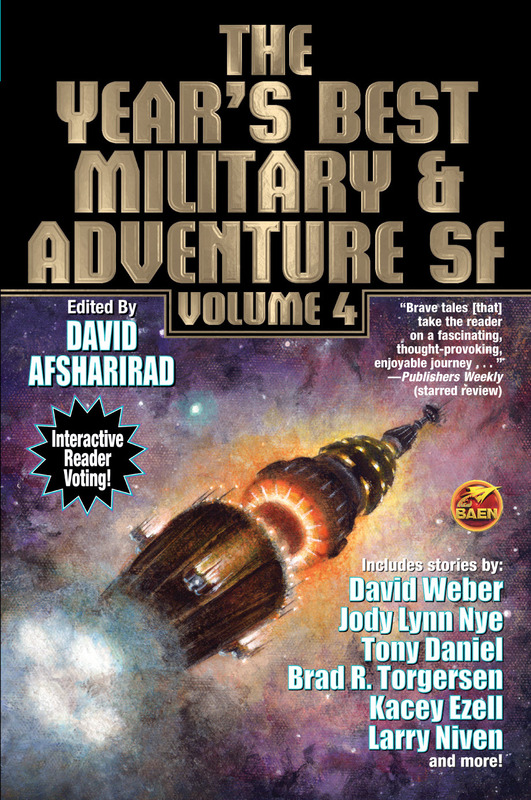 The Year's Best Military & Adventure SF, Volume 4 Out Now! Well, well, well . 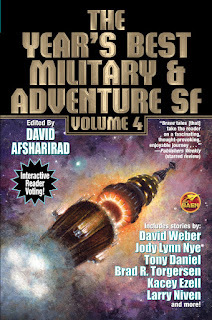 . . look what hit bookstore shelves (both real and virtual) yesterday: it's The Year's Best Military & Adventure SF, Volume 4, edited by yours truly! Buy multiple copies for friends, relatives, and strangers you sit next to at the bus stop. It's guaranteed to satisfy! Buy it on Amazon, Barnes & Noble, or Baen eBooks. Or even better, support your favorite local indie bookstore. If they don't have it in stock, ask for it by name. Friend, you won't find a better collection of short fiction with a military or action/adventure science fiction theme!